Children have arrived back in school after their Christmas break full of enthusiasm for learning as we start the Spring Term. Although it's a long time since Christmas here are a few pictures of our Christmas events with an overview of our news. Nursery, Reception and Year 1 children performed brilliantly in their Nativity play: Whoops-A-Daisy-Angel. Parents and grandparents (and staff) were extremely proud of all the children who were not only word perfect, but also remembered some wonderful dance routines. Children learnt about The Christingle and made one in preparation for our Christingle service at St Nicholas Church. Class 2 and Miss Goodchild led the service and thank you to those who were able to join us for the special Christmas occasion. We raised £107.47 for The Children's Society, to help improve the lives of some of the most vulnerable children in our country. Thank you so much to all who came and supported the Christmas Fair. The children absolutely loved it and everyone got Into the Christmas spirit! "I loved all of it and laughed lots!" Timmy, Class 1. "Stinky Binky was my favourite character." Annabel, Class 1. 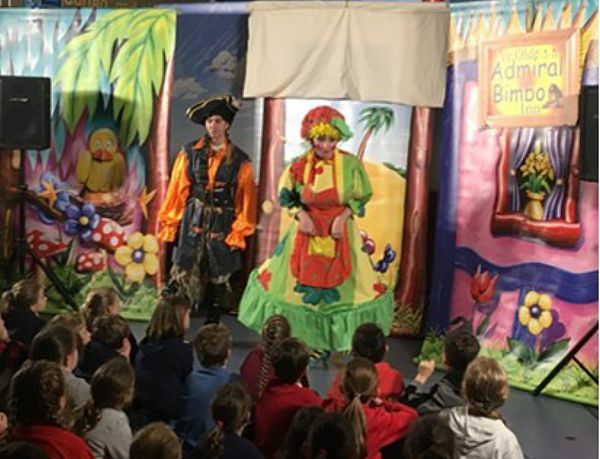 "A very funny pantomime, the final song was hilarious!" James and Faith . This half term's topic is Africa and Animals in Class 1. Children have been discussing the world's continents, including Africa and have learnt that there are 3 capital cities in South Africa. The whole school are looking forward to a visit to Flamingoland as part of their topic learning. 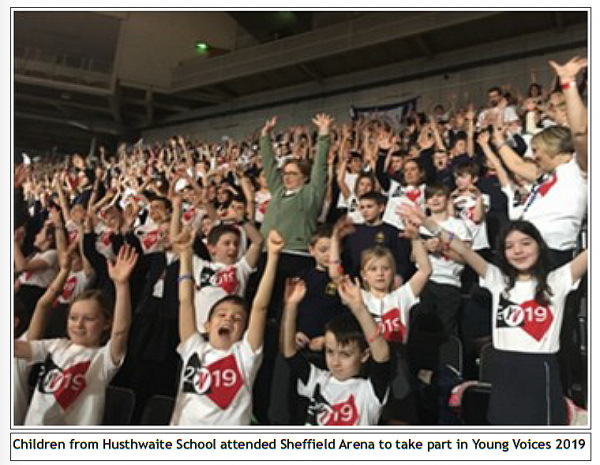 Years 4, 5 and 6 from both of our Federated Schools travelled to Sheffield Arena to participate in Young Voices 2019.This is a highlight of the year for children who attend as they say it is one of their most memorable and enjoyable events during their primary school years. A highlight this year (for some staff) was a performance by Tony Hadley - former member of 1980's boyband Spandau Ballet. Songs this year included a pop medley from the film ‘The Greatest Showman' - a real treat for everyone. Sowerby Music For Life visited school where children were able to take part in an interactive presentation, learning about lots of types of music from classical to jazz. Some children had an Around The World music workshop linked to our current theme, Africa, and then performed to the whole school at the end of the afternoon. Children from KS2 travelled to Outwood Easingwold School to take part in the Easingwold cluster cross country. Despite the cold weather our children showed maximum effort, determination and stamina at the event. Well done everyone especially Daisy Standeven and Charley Burton who qualified for the next round. Our out of School Club - The Den - is gong from strength to strength. Mrs Bucknole and Miss Wilkie have some exciting things planned for this term including baking, play-doh making and slime as well as the end of week wind-down with a film. Please remember if you have a toddler or would like to join us for a social cuppa, our weekly 9am ‘Stay and Play' session and ‘Unfrazzle' is every Friday in the school hall. ‘Stay and Play' is a free toddler session open to all pre-school children from 9-10am. There are still some vacant places for nursery offering full and part day care from 3 to 30 hours per week. Please enquire at the school office. We currently have a midday supervisor role vacancy. If you or anyone you know would be interested in this role, please contact Mrs Dixon in the school office for more details. Diary dates are listed on the school website.